This one sounds kind of creepy and the cover is dark and calling my name. I'm super curious to check it out. Mermaids are soulless, flesh-eating monsters of the sea, wicked in all ways—but some are born with more humanity. Nathaniel Thomas believes in monsters. He’s seen his share since joining the pirate crew of the Blood-Red Siren. 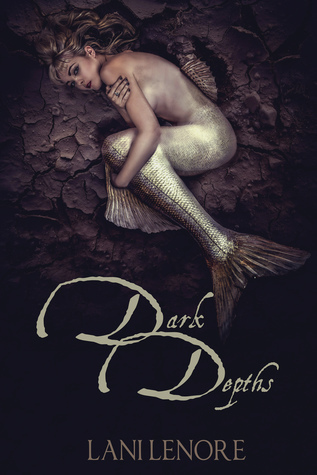 Tales are rampant, especially of mermaids—the deep sea nymphs. With their hypnotic songs, they lure ships to crash and then feast on those aboard, stealing the seed from a man’s loins while drinking down his blood. But Nathan has learned not to believe in things he hasn’t seen with his own eyes. All of that seems foolish when he witnesses hideous, scaly-skinned abominations peeling the flesh from his shipmates, but Nathan manages to avoid death. He is rescued by a similar creature, and though he is wary of her, he soon finds that she is nothing like her kin. He calls her his Treasure, and she is beautiful beyond anything he’s ever seen. There is goodness in her. He knows they do not belong together, but she will not leave him. Likewise, he cannot purge her from his thoughts. Nathan is introduced to truths he never would have believed, to a love he never thought possible, and to a war that he could not anticipate. There are secrets and horrors in the dark depths, and he is out to uncover them, even if the truth costs him his own humanity. Oooh a mermaid read! That sounds interesting! This cover is amazing! I need to get my hands on this book. OMG what an interesting cover! At first glance it doesn't seem like much, but it is very pretty. That first line of the synopsis caught my attention right away. I hope you enjoy this book when you get the chance to read it! Killer mermaids- yay! And it does have a nice cover.